Dr. Dybalacus, Graydancer, Pulp and Tori Tori - The Cybonic Punk, The Kill Crunch Squad is back and this time they wont stop until Crunch is utterly destroyed!! Reporter Boone Philips is kidnapped and used as bait to lure Crunch into a deadly trap! Will Crunch be able to defeat the newly re-formed death squad or will they finally have their revenge!?! Everyone's favorite pint sized powerhouse Crunch Crakerton pounds his way through fist snapping, bone crunching adventures! He always has a good time while still managing to save the world countless times over!! The third book in the legendary Crunch Trilogy!!! 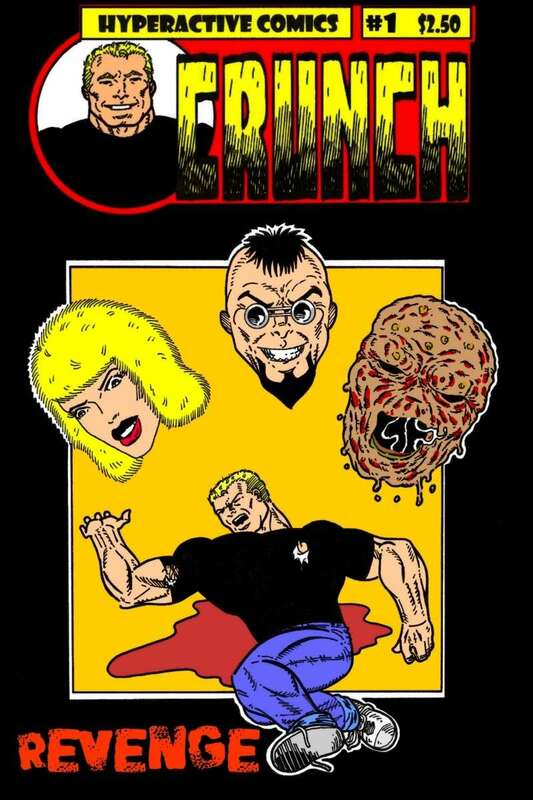 Crunch: Revenge # 1 TM and © Kevin Hill. All rights reserved.